The structure of the fabrics could relate to the warmth, flexible substance and connectedness (of bees and society) which motivated Beuys to work with honey. The project Vale do Mondego (2011) has been inspired by Beuys’ ideas in more particular ways. Beuys was a future oriented, spiritual and socially engaged artist born in Krefeld (Germany) in 1921. His ideas, activities and performances (with raw or natural materials) had a great impact on the (western) art world and in other fields of society. Besides the showcase of his work in many contemporary museums, the museum Schloss Moyland shows a permanent collection of his works. It’s worth a visit and located in the east of Germany (just over the border with the Netherlands). 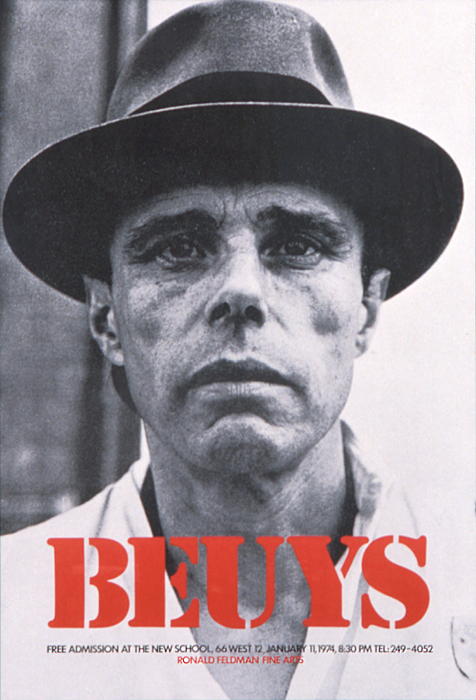 Beuys was an important member of the Fluxus movement. In 2004 I’ve joined an exchange program and studied in the mixed media studio of (Fluxus) artist Milan Knížák at the Academy of Fine Art in Prague. I got to know about Joseph Beuys in 1997, when I started working for a few years in anthroposophical institution for adults with a mental handicap. One of the houses was named after him. Beuys is a source of inspiration for my independent practice combined with social work activities. Illustrating how artistic experiments could be connected to daily life in schools or day care centers for example. — Door Joseph Beuys (gepubliceerd gesprek met B. Blume en H.G. Prager op 15 november 1975 in een Duits imkertijdschrift.